Because who doesn't love clowns?!! In this 1983 film, James Bond (played by Roger Moore) dons a clown disguise to infiltrate a circus show at a US Air Force base in West Germany and defuse a nuclear warhead. This American photographer is known for her portraits of marginalized people - dwarfs, giants, mental patients, clowns and other circus performers. 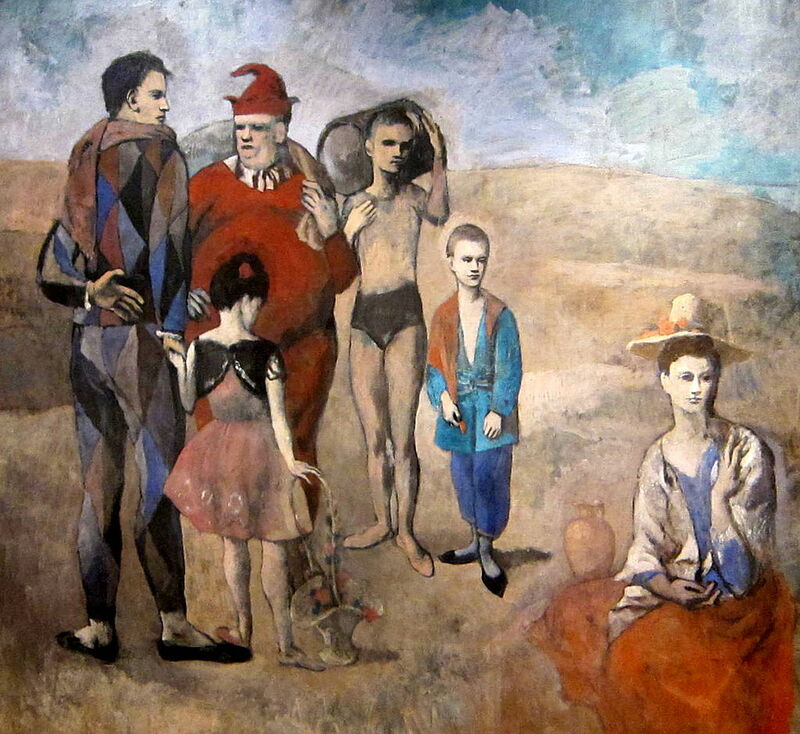 'Family of Saltimbanques' (1905) is a painting from this artist's Rose Period, also known as his circus period. This comedian is the voice of the Joker in The LEGO Batman Movie (2017). He also plays the title character in an FX series that fits the theme of this quiz. This young Swede, perhaps not as well known as the other members of his acting family, plays the nightmarish figure Pennywise the Dancing Clown in the upcoming remake of Stephen King's It. Louis Burton Lindley, Jr., a rodeo clown who played B-52 pilot Major T.J. "King" Kong in Dr. Strangelove, was better known by what stage name? This 1893 Italian opera with music and libretto by Ruggero Leoncavallo tells the sad tale of a clown who kills his cheating wife and her lover in a jealous rage. This theatrical form, which originated in Italy in the 16th. century, introduced stock characters representing social types, such as Arlecchino and Colombina. In the Emmy award winning sitcom Modern Family, this actor plays Cam, whose clown persona Fizbo is based on a character the actor created when he was 9 years old. In this 1952 film, Charlie Chaplin plays Calvero, a once-famous stage clown and washed-up drunk who saves a young dancer from suicide. It was Chaplin's last film produced in America and his first appearance with Buster Keaton in a feature film. Will Sommers was the best-known jester in the court of which English monarch? Citing declining ticket sales and the retirement of the troupe's elephant performers, this traveling circus company will hold its final shows in May of this year.